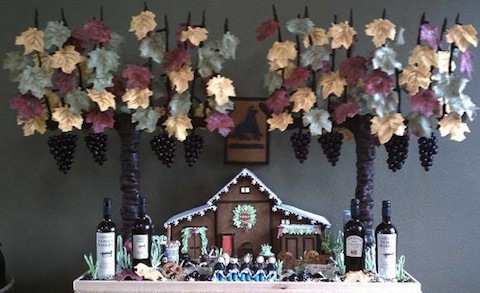 We have been in Sonoma and Napa Valley, Wine Country in Northern California and it is as gorgeous as you might have heard or seen in pictures. 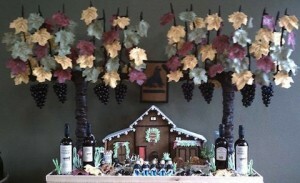 Everywhere we look we are surrounded by vineyards and the rolling hills and Chateus are stunning. 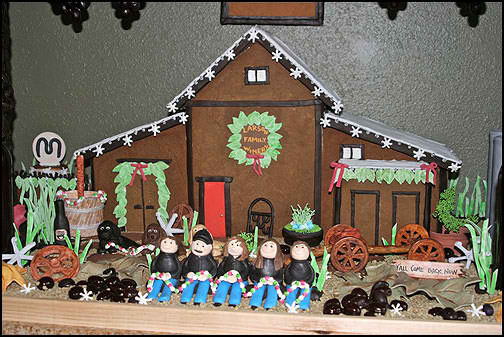 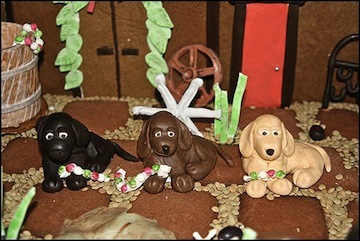 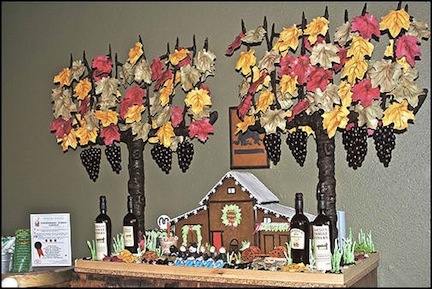 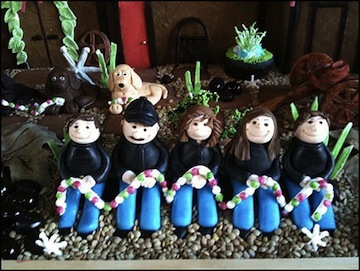 There is a contest each year in Sonoma where the local wineries creat their Gingerbread Houses and (just think, a Gingerbread House winery vineyard) and here are some pictures of the 2010 winner that is designed by the Larson Family Winery. 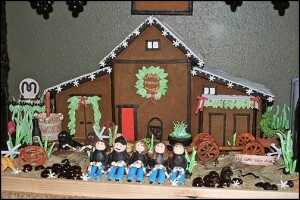 Below is an excerpt from Sweet Treats, the company that created this masterpiece and it will give an idea of what it entailed. Have you thought of making a Gingerbread House Winery?